Yes you read that right ! 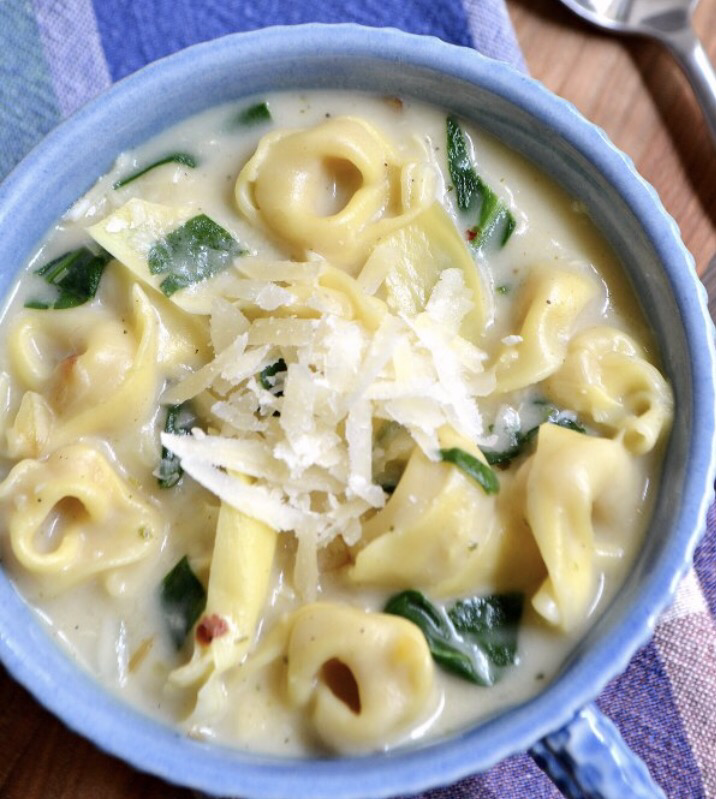 This creamy soup will WOW your taste buds! It’s super easy and will please everyone! When serving this up, I topped with fresh parmesan and a crouton! Everyone will think you slaved over the stove all day! 1 (12-oz.) package Barilla Collezione Three Cheese Tortellini ( I have also used frozen Tortellini. Add onion to pot. Season with salt and pepper, then saute until softened and lightly browned, about 10 minutes. Stir in garlic and red pepper flakes; cook until fragrant, about 30 seconds. Mix flour into pot, then cook for 2 minutes, stirring constantly. Slowly whisk in vegetable broth. Bring to a boil. Add tortellini to pot; cook, stirring occasionally, until almost al dente (about 7 to 8 minutes). Stir in artichokes and spinach. Remove soup from heat, then season with salt and pepper to taste. Next Post Pit commander BBQ! !